An analysis of the legal framework surrounding the Financial Reporting Timeliness in Egypt, and the problems faced. 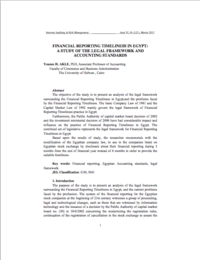 The objective of the study is to present an analysis of the legal framework surrounding the Financial Reporting Timeliness in Egypt,and the problems faced by the Financial Reporting Timeliness. The basic Company Law of 1981 and the Capital Market Law of 1992 mainly govern the legal framework of Financial Reporting Timeliness practice in Egypt. Furthermore, the Public Authority of capital market board decision of 2002 and the investment ministerial decision of 2006 have had considerable impact and influence on the practice of Financial Reporting Timeliness in Egypt. The combined set of legislative represents the legal framework for Financial Reporting Timeliness in Egypt. 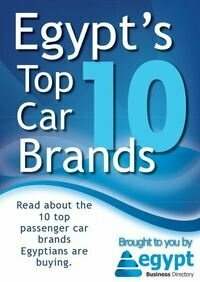 Based upon the results of study, the researcher recommends with the modification of the Egyptian company law, to use in the companies listed on Egyptian stock exchange by disclosure about their financial reporting during 3 months from the end of financial year instead of 6 months in order to provide the suitable timeliness. All whitepapers are available to you and free of charge. This whitepapers is provided by Younes Akle.